Students at O.W. 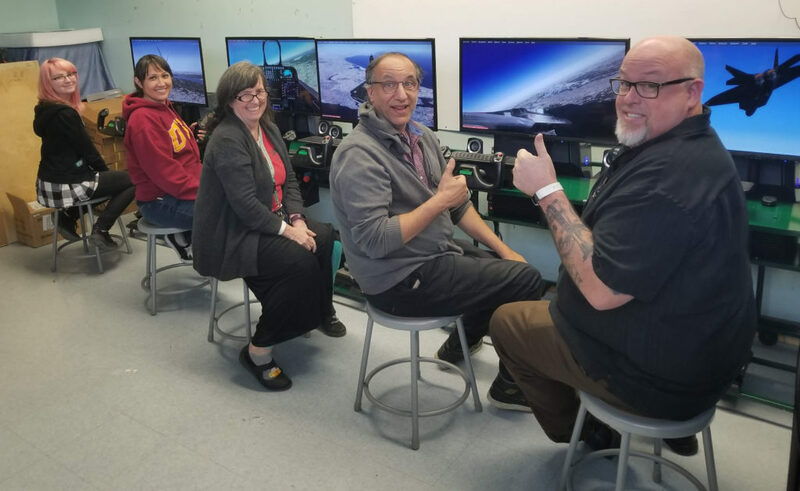 Holmes MS learned to fly on their new Edustation Flight Simulators. They explored London, Istanbul and local CA locations flying from their classroom in CA. Robyn Albaeck is the Engineering and Robotics teacher who will be leading students to apply classroom math, science and engineering by learning to fly. Today we trained 5 teachers and 5 students who will help teach the other kids. This program has tremendous energy and will Fly Students into Great Careers. Teachers in P.D. Training like never before!